Did someone say pizza for breakfast? 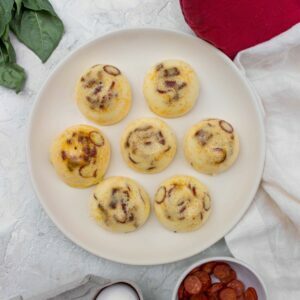 These delicious Instant Pot Pizza Egg Bites are a not so boring way of eating breakfast and a great way to consume some protein first thing in the morning! Hello friends! Today I’m back with another breakfast meal prep. I am sticking to my 2019 goals of making sure I have breakfasts meal prepped because they are one of the things that I spend money on the most. It’s just so easy to sleep in for a few extra minutes then dash out the door thinking, I’ll just grab a bite on the way to work. There’s a reason that 70% of my credit card charges fall under the food category lol. Anyways, after telling myself that I am no longer going to pay $5 for two sous vide egg bites, I decided to attempt to make my own in my Instant Pot. I ordered my own egg molds on Amazon for $10 and spent an evening making batch after batch. After some trial and error, I have for you, these delicious sous vide Instant Pot egg bites are my rendition of eating pizza for breakfast! Bonus: they’re also super cute. To kick off 2019, Health Canada released a new food guide. 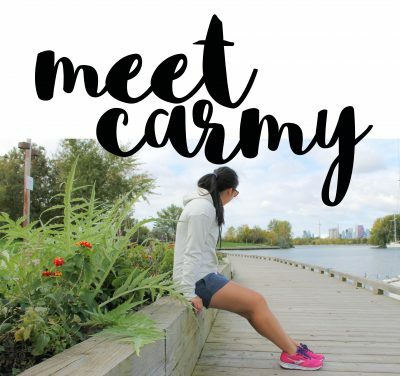 The new guide recommends protein-rich Canadian eggs as a part of a well-balanced diet. 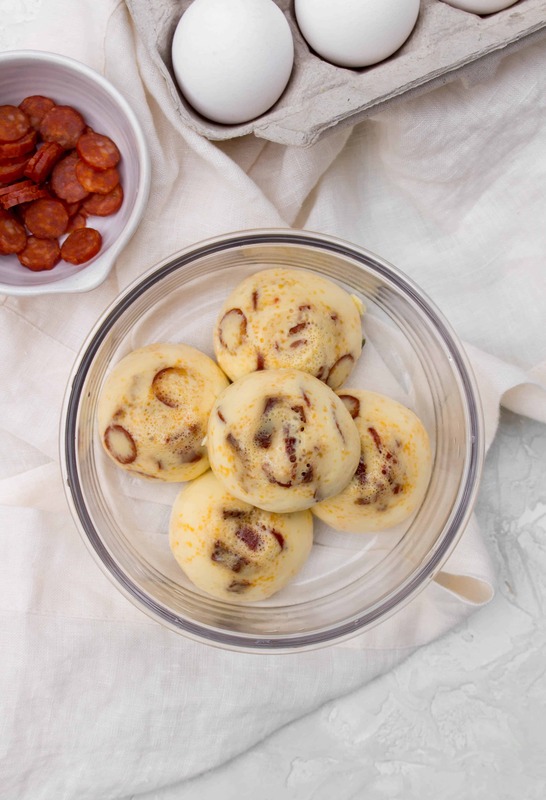 So what better way to get your daily dose of protein in than at the start of the day with these delicious Instant Pot egg bites? Whole eggs are a great source of quality protein as eggs provide important nutrients including vitamins A, D, and E, folate, iron, zinc, and choline which means they’re great for your bones, teeth, skin, and eyes. In other words, you’re going to want to make these egg bites to start off your day (and year) on the right foot! In your Instant Pot, add one cup of water. Set aside for later. In a blender, mix together your eggs, cheese, and milk until everything is blended together. 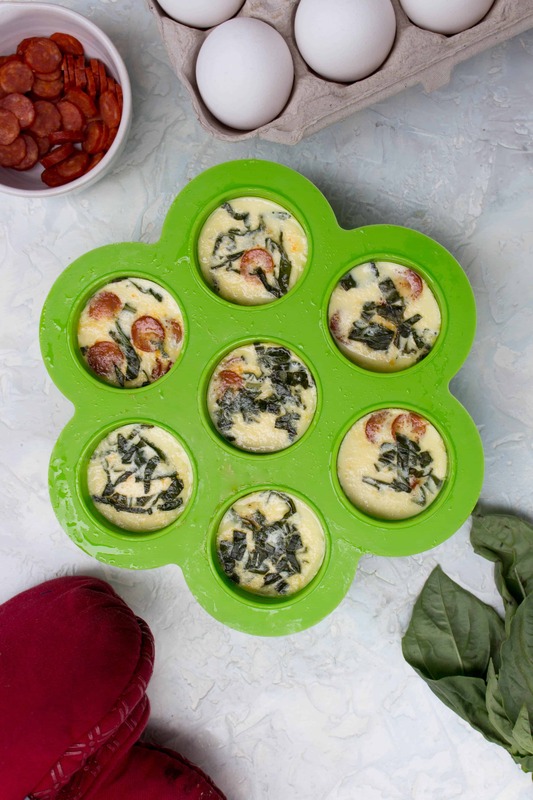 In your egg mold (be sure to spray with non-stick), fill half of each mold with your egg mixture then add in a mix of sun dried tomatoes, pepperoni, and basil. Next, fill up the molds with the rest of the egg mixture. 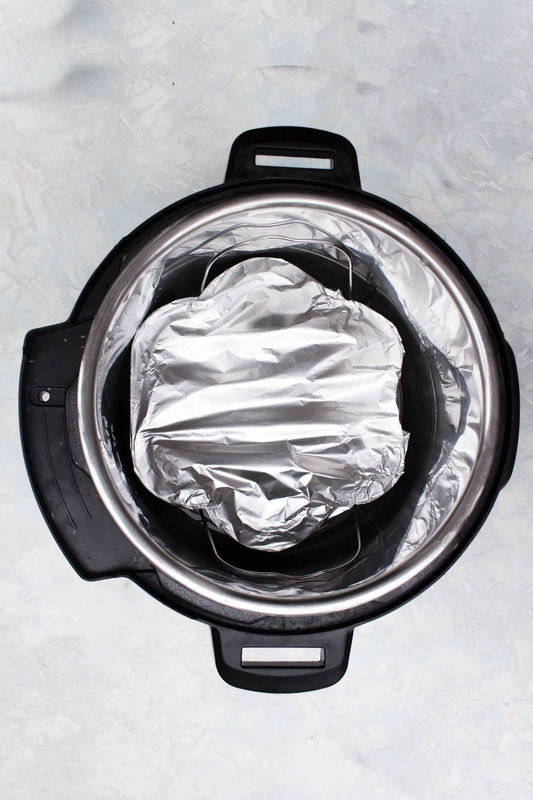 Cover the egg mold with tinfoil and carefully place the mold into the Instant Pot. Place the lid on the Instant Pot, make sure the valve is on sealing, then press the “steam” button. Set the Instant Pot to steam for 10 minutes. Once complete, let the Instant Pot natural pressure release for 10 minutes. After 10 minutes, quick release the rest of the pressure. Carefully bring out the egg mold, remove the tinfoil, and flip the mold upside down to get the egg bites out. Careful, it’ll be hot. Serve immediately or store for later. 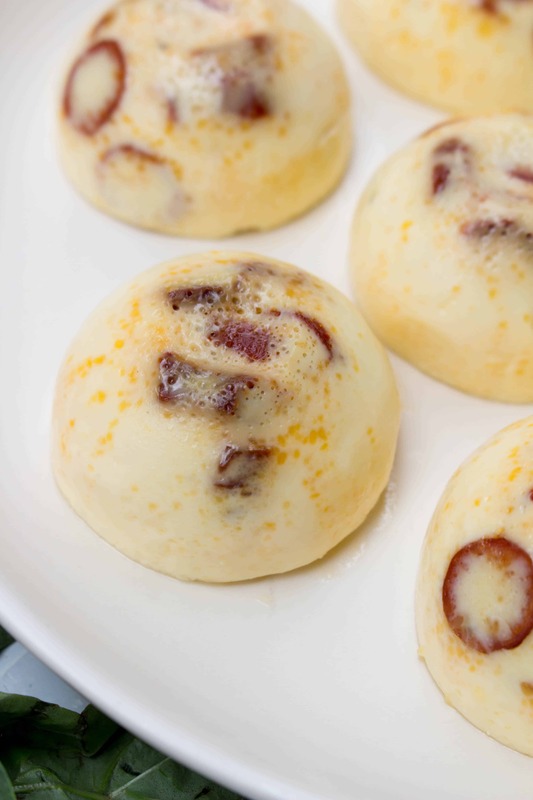 These egg bites can be stored in the refrigerator for up to 1 week in an airtight container. You can eat them chilled or microwave them for 30 seconds when ready to eat. 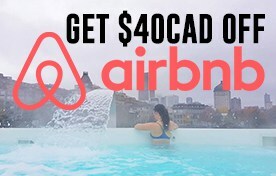 They can also be frozen in an airtight container. To reheat, microwave (the top of a paper towel to absorb the moisture) for 1.5 to 2 minutes. Do not forget to grease or spray the egg mold with non-stick. Forget everything you learned about silicon being non-stick because your eggs will stick to the mold and while they still taste fine, it is not very pretty and is very difficult to get out. Trust me, I learned this the hard way (and shared it on IG stories so be sure to follow me for more behind the scenes!). The original sous vide egg bites are very light and fluffy. In order to get the same texture, blending the egg mixture adds air to the mix so your eggs come out springy. I have tried making this by mixing the eggs hand and the eggs come out a lot more dense than using a blender. At the end of the day, this isn’t a make-or-break step but if you have access to a blender, I highly recommend using it. I used my Vitamix. I have a 6qt Instant Pot so putting the egg mold into the liner was a bit of a tight fit. To make it easier, I placed the mold on top of the rack that came with the Instant Pot so I could easily lower the eggs into the pot and pull it out afterwards. I did not add salt to the egg mixture as the pepperoni and sun dried tomato gave it all the salt the sous vide egg bites needed. To help the Instant Pot build up pressure faster, I used hot water in the water bath. It takes less time for the Instant Pot to come up to pressure with hot than cold water. If you can’t find mini pepperonis, an alternative is to each cut up regular pepperoni or purchase a small pepperoni snack stick and cut your own mini slices. Did someone say pizza for breakfast? 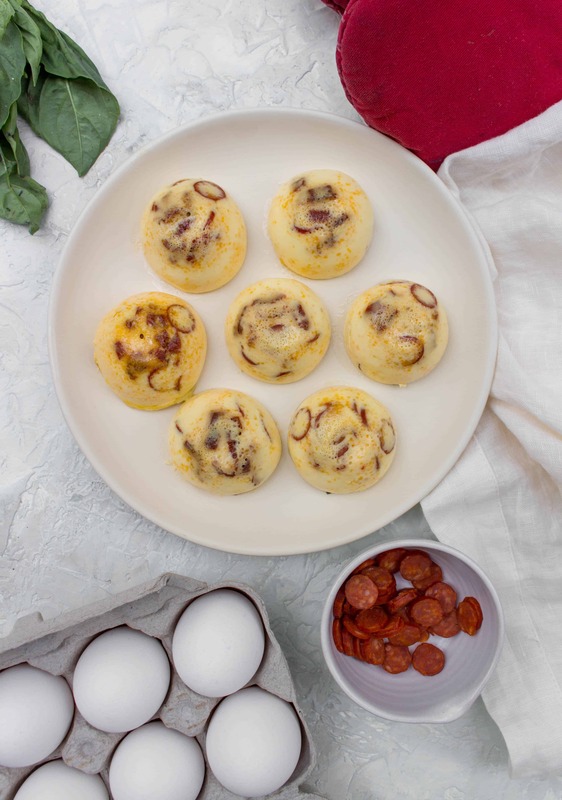 These delicious Instant Pot Pizza Egg Bites are a not so boring way of eating breakfast and are a great way to consume some protein first thing in the morning! Carefully bring out the egg mold, remove the tinfoil, and flip the mold upside down to get the egg bites out.